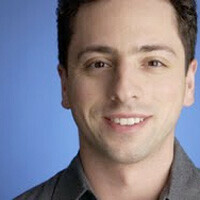 Google co-founder Sergey Brin sat down with The Guardian to discuss threats to web freedom. While he cited threats such as the attempts at censorship and restricted use of the Internet from countries such as China, Saudi Arabia, and Iran and attempts by the entertainment industry to block sites offering pirated material as the most concerning, there is another source that is causing Brin great concern. Specifically, Brin notes that one of those forces is the rise of restrictive walled gardens such as Facebook and Apple. Brin feels that companies, particularly Apple and Facebook, which use proprietary platforms and control user access, will stifle innovation and “balkanize” the web. Brin also points out that that search engines are not able to acquire information from these sources. "There's a lot to be lost," he said. "For example, all the information in apps – that data is not crawlable by web crawlers. You can't search it." Some may criticize Brin’s comments because not only are his points potential threats against Internet freedom, but they are also threats to a variety of Google’s revenue streams, such as its search engine’s effectiveness and competition to its Android mobile platform from Apple. When asked about people’s privacy concerns regarding Google and its history of releasing data to US authorities, Brin responded, “We push back a lot; we are able to turn down a lot of these requests. We do everything possible to protect the data. If we could wave a magic wand and not be subject to US law, that would be great. If we could be in some magical jurisdiction that everyone in the world trusted, that would be great … We're doing it as well as can be done." I completely agree. Facebook has become sh!t, and the only reason I stay there is because everyone else does. Apple has been.. well we really know everyhing about how one does not mix the words "Apple" and "Freedom" in a single sentence, right? Lmao are you joking? Ironically Google is having their own Google plus service that is not crawable by search engines too. So, I imagine I'm going to get voted down, but I hope we can at least discuss this a bit. I think it's quite funny that Google feels that way about Facebook when, especially since Google+ is yet another way for Google to put ads in your face. I mean, that's what it's all about. Facebook isn't free. Sure, you connect with people, but you pay by the amount of ads that are offered to you. And these ads are customized to you because Facebook has all of your social information. Google doesn't and they created Google+ as a remedy for that. We can say Facebook is crap all we want, but no one can deny that Google wants to eat the same Apple Pie. Don't say Facebook is a danger when your company is trying to go down the exact same path... And bringing Apple into the case...Apple is definitely a walled garden, but not in terms of the internet...at all. Apple tries to get their users to only find their tech solutions through Apple, but I've never seen them make a single move to isolate anyone from the internet. In fact, they had it out with AT&T about not limiting the internet for iPhone users. AT&T responded with tiered pricing. Now, I do agree that Apps don't exact promote the exploration and discovery of segments of the internet, but you can't blame that on Apple. The economy side, yes...the actual internet...no. Now, let's go back to Google in 2010 when they and Verizon came to an agreement on their stance on Net Neutrality. Here's my favorite portion... "Wireless broadband. Possibly the most important provision of the entire agreement, and the biggest compromise. Under Verizon and Google's plan, wireless networks would be excused from every provision except the transparency requirement. Why? Because of the "unique technical and operational characteristics of wireless networks," of course. Or... perhaps because Google has an interest in allowing Verizon to do whatever it wants with traffic on its Android-dominated wireless network. Either way, it's hard to reconcile the stated need for net neutrality in this agreement with a giant exception for wireless networks, which are quickly becoming the most important networks of all. We'll have to see how the fight over this provision shakes out." http://www.engadget.com/2010/08/09/google-and-verizons-net-neutrality-proposal-explained/ So Google is okay with your home internet being open and free...but not on your phone...which is slowly becoming the way folks surf the web. So yeah...before we start talking about Apple and Facebook...let's look at Google first. And before you thumb me down...at least think about what I said. you missed his point, inteeedom is not about who has more information. it is about the way we use it. right now, people are mostly surf the internet with their phones or tablet. and a vast majority of them use the internet to check their facebook. wich has an app. a proprietary app, that doesnt use open protocals of internet such as html. and I think every site that is in a top 10 list of sites that people surf the most has an app for that. and apple with its iOS is hughly responsble for growth of proprietary internet, despite jobs effort to push html5. It realy is like when rechard stalman ( if I recall his name corectly) started opensource reveloution. nothing wrong with windows, but linux is where inovation leads. It is very important people understand that once a strangle hold takes place from two or five companies.... it is Their rules.... and we the USERS get the short end of the stick. Once liberties are taken, it is always harder to reinstate them than it would have been to protect them in the first place. Come on! He talked about GOVERNMENTS, RIAA, Legislators and on a ideline, he mentioned Apple and Facebook. That's what you get from someone saying that there's forces threatening the internet? They got out of China because of pressure to censor and control the internet, SOPA, PIPA, and other bills around the globe. This accumulation of entities trying to censor and control the itnernet has not been felt before, and he was tlking about that. Apple and Facebook were a sidenote, but all you got was "I want to Search Facebook and Apple". Well we can't really delete our profile in our respective intern department, now can we? Yes, Sopa, Pipa, etc etc are 4000000% more evil than Apple or Facebook. But let's look at Apple here for a minute. What do you think would be Apple's stance on these? Against? Think again. Apple would have endorsed Pipa, Sopa and any other **pa you can think of in their insane quest to control all and everything. Yeah, i agree completely with you, i just dont like the idea of having switched the message from "Governments and Record and movie companies are censoring the internet" to "Im crying because apple and facebook dont let me search them" Which of course its not what he's saying, but the way the article is titled, it seems like it. plus, Google can actually say something and we can believe in it. They stopped their Chinese operations because they would not take part in the demands of the Chinese Government, losing an incredible amount of money, but conserving their ideals. I am so glad I don't mess with BOTH Apple & Facebook. I just have my Samsung Galaxy Nexus & I blocked all of Google's new privacy agreements so I feel OK. I also don't mess with the cloud. These are technologies that in the wrong hands can hinder lots & lots of people heck, millions and millions of people. I don't want my stuff out there at all. SAE, the new privacy agreement does not bring anything new but the fact that the data is unified across all of google services. Before, you had the data separated, now they are together. They have the same amount of data. It was an issue blown up by the media. They even explained it on a link on the privacy site, that explained it in layman's terms. That is so right, but Google gives me the ability to say no to their new privacy agreement. So I can surf the web & use my phone in peace. I don't have to worry about big brother! lol +1 to you! I hate Facebook really, its become nothing but full of annoying girls and people who update their statuses every minute like its Twitter. I find G+ a much better alternative right now but not everyone is over there and not everyone wants to be bothered to use another social network. But also if you don't use Facebook you become virtually non existent. I agree as I think the future should lie more so in a way to search through all the massive amounts of data we create or collect and not do that through just one specific closed source. The walled garden is not something I am a fan of when it comes to Apple and Facebook is simply a factor of the times. Roaming through what we create without having to sign into a specific system from one provider should be how we grow in the future. Come on if you sell apples of course you will say great things about apple, or orange perhaps (For the Apple company haters) There's always something that he tries to hide and poke when making statements like this. Facebook blocked me for 2days from adding my own mates. I've been hearing the same song for years ever since Google came under scrutiny for the same exact reasons. As long as we have a governmental backing (that's not over zealous with power) to secure our financial and personal information then we can indeed enjoy free services such as social networking and networking sites. Point in fact, nothing in life is free. F*** Facebook, there's no freaking privacy now. Timeline makes it so easy for people to see everything you post and there's no way to delete the notification that lets them know. I'm reluctant to go and be nerdy on some of the the tech pages now 'cause my friends like to troll me over how nerdy I am.